It’s always interesting seeing how one novelist approaches transforming another novelist’s work to the screen. So, besides produced films like “The Grifters”, Don’s unproduced screenplay for “Red Harvest” and the script I adapted from Steven Saylor’s book, “Roman Blood” all provide insights. Jeff Kleeman, in the comments section here, who tarried not for questioning. It’s always nice when Jeff Kleeman pays one of his periodic visits here, and tells us stuff we didn’t know before, though I have to say, this is something I feel like I should have known already. And didn’t. Not a clue. But once I went looking around online, I found mentions of it in multiple places–it was no deep dark secret. Lying around in plain sight, like the purloined letter. Or a gold falcon, covered in black lacquer. Donald Westlake has a lot of admirers, stretching across multiple generations, and stands to reason that (with no biography in sight) nobody knows everything there is to know about his many-faceted career, him being the elephant, and we the blind men (and women), feeling our way in the dark. It’s becoming clear that he did a lot more work for the movies and TV than one would have believed possible for a man with nigh on a hundred published novels (not mentioning short stories and sleaze paperbacks). There’s an archive in Boston with a large collection of screenplays he wrote that never got produced. Greg Tulonen was there, when he went looking for the manuscript of Fall of the City, now known as Forever and A Death. He didn’t know about this one either. He said it isn’t listed as part of the collection. So cutting to the chase, there’s this legendary Italian film producer, named Alberto Grimaldi–he’s still around, at the age of 92. Back in the 70’s, he got obsessed with making a movie of Red Harvest. Not set in feudal Japan, or the old west. Not the usual Hollywood butchery of the source material, either. A legit straight-up adaptation, class all the way, that would capture the essence of Hammett, without making it into some over-reverent museum piece. 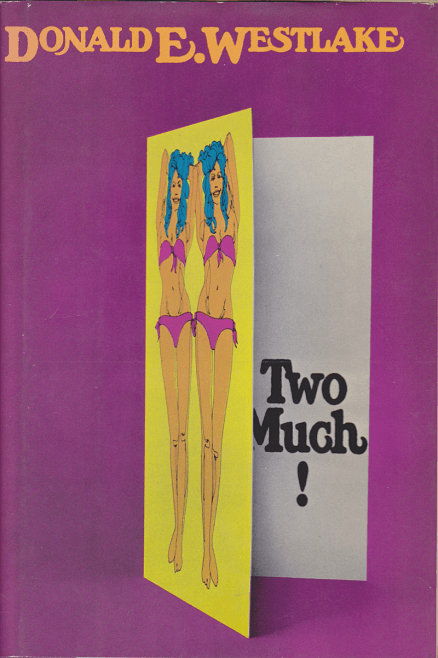 Bernardo Bertolucci was attached to direct for some time, and co-wrote two drafts of a screenplay, one of which you can buy online pretty easy, and I couldn’t care less, no disrespect meant. Many other scripts were commissioned, nobody seems to know how many, but it is known for a fact one of them was from Westlake. I’ve found multiple mentions of it. I just can’t find the screenplay itself. Some guy on an old listserv discussion forum (apparently linked to Miskatonic University), says he bought a copy on ABE. He posted that in 2000. I emailed him. Even though it was one of those addies that ends in ‘.net.’ Gmail says it’ll keep trying for another two days, but that lead’s not going to pan out. Neither did any of the online sources for screenplays, produced or otherwise. Neither did ebay, Amazon, Bookfinder, or ABE. If it’s out there, it’s keeping a low profile. Seems like Westlake got approached sometime after he wrote the script for The Grifters. His best work as a scripter (that got produced, anyway), nominated for an Oscar, successfully reworking a noir classic in a way that respected the original without getting bogged down in it. Martin Scorsese was involved in the Red Harvest project at one point as well, as were several other big names, but things got complicated. And of course he was a producer on The Grifters. So that all tracks, but how do I put this? Red Harvest would mean more to Westlake than everything Jim Thompson ever wrote. Not because it’s a better book than The Grifters (debatable). Because it’s Hammett. 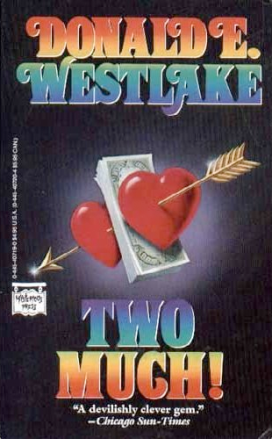 And Hammett was the foundation stone of everything Westlake ever wrote in the crime genre. And Red Harvest is a book Westlake had used as the starting point for multiple novels of his own. Notably Killing Time, Anarchaos, and Butcher’s Moon. But you can find hints of it scattered throughout his oeuvre. It’s no secret he wrote it, as I said. Lots of people know about it. Lots of people have read it (I’m guessing one of them is Kleeman). But I don’t remember ever reading an interview where Westlake mentioned it. Sore spot, possibly. Because it didn’t get made, or because he didn’t like how it turned out? And what’s Joe Sheer, the titular Jugger, to Parker? Just a bit like what The Old Man is to The Op, wouldn’t you say? But so different, you really have to squint to see it. Hammett was the literary father figure Westlake kept trying to measure up to, and never quite sure he’d managed it. So I would like to read this attempt to do just that, and decide for myself. Can anybody out there make that happen? Yeah, I know, wrong book. And yeah, I’m still working on that other thing, but got bogged down, so feel free to chime in while I’m digging my way out. Passes the time.